The story starts when Charles Dodge was still a professor of music at Dartmouth College. On his way home to Putney one evening, as he passed Green Mountain Orchards, Charles had an epiphany. He realized that many of the best experiences he and Kate had enjoyed, in drinking wine throughout the world, came from sipping “the local wine” made at small family wineries from local fruit. So, Charles started making sparkling apple wines in his basement and sharing them with friends. 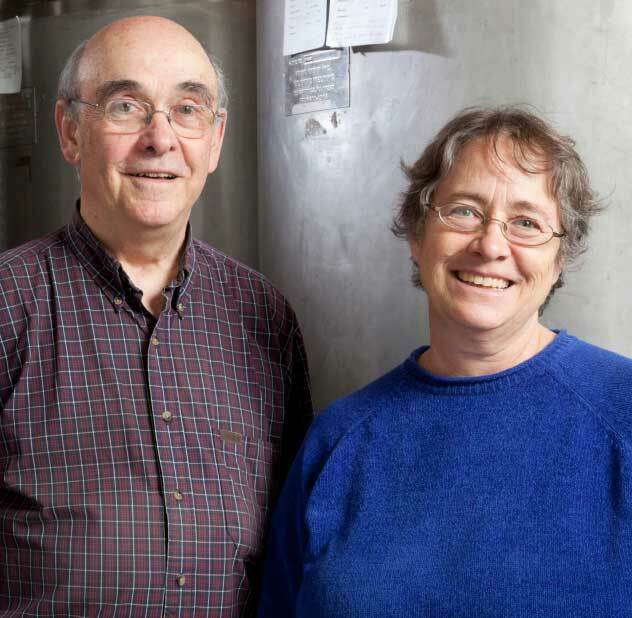 They were a hit, and in 1998 Kate and Charles founded Putney Mountain Winery. Thus, Charles and Kate began their mission – culinary and social – to make premium wines and liqueurs from locally sourced ingredients. And Putney Mountain Winery became locavore before the term was coined. 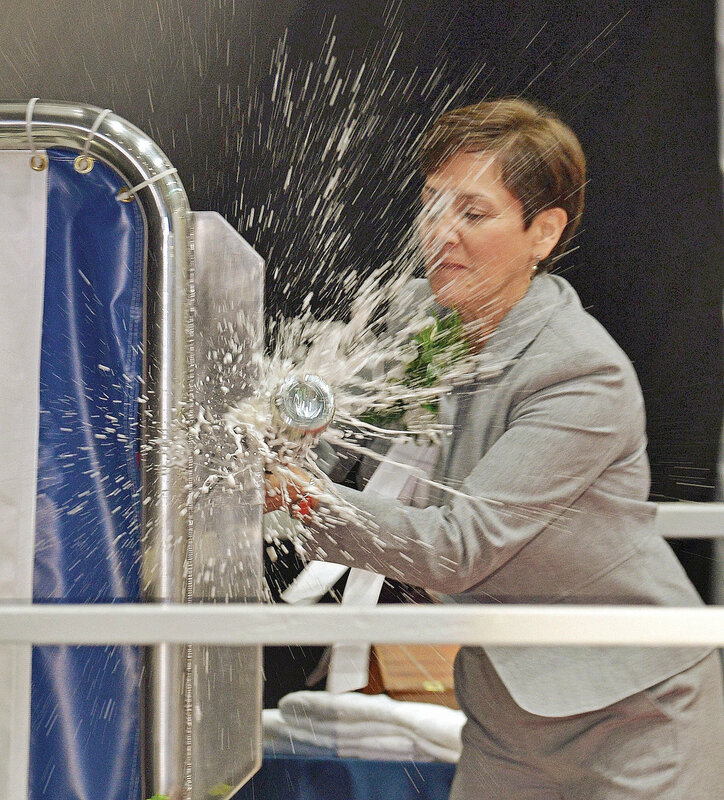 Gloria Valdez, former Assistant Secretary of the Navy, smashes a bottle of our Northern Spy sparkling wine to christen the USS Vermont! Twenty years later we still make our wines and liqueurs with ingredients grown on local and regional family farms. We carefully tend the environment, too, by fully recycling our waste and composting the leavings from the wine making process. We source our fruit not only for its culinary characteristics, but also with an eye to environmental sustainability. Our winery is 100% solar powered. These environmental goals have been recognized: Putney Mountain Winery is a state-certified Vermont Green Business. Using local ingredients has proved essential to our culinary mission as well as our social mission. We believe that the best wine is made from produce of the region. The Connecticut River valley is home to world-class fruit production, and our products embody the richness and freshness of its “terroir”. Putney Mountain Winery works with farmers to obtain the best possible fruit from New England. Then Charles crafts innovative recipes for their prize-winning wines and liqueurs and bubbly juices. Apples, ginger, rhubarb, black currants to name just a few…the list goes on.